Subscription boxes are one of the fastest growing business trends today. The Royal Mail group expects the sector to burgeon a further 72% to a value of over £1 billion by 2022. And the range of items consumers want delivered to their door on a regular basis continues to surprise and expand. There are two types of subscription box service: replenish and curated. Replenish is items that you need to regularly buy. Who would have thought that shaving would become a market leader in that category? Other regulars are vitamin pills and socks. If you can tap into regular needs there’s a solid market opportunity to be had. But the higher growth is in discovery or curated boxes. Those are packages that offer a surprise. A happy surprise also needs to be beautifully presented and bespoke postage and packaging firms like bestbuyenvelopes.uk are also expanding their range to support the trend. Curated box top sellers include specialist food and drink, stationery, beauty and fashion products. There’s tonnes more: the subscription box platform, Cratejoy, offers 84 sub-categories and growing. So how can you get started? Here are our top tips for setting up a subscription box service. Start with your ideal customer. Do your research and really get to know this group. What products do they use regularly. What do they love? What do they need? How easy are those items to access during their regular shop? In this growing market, the narrower the niche the better. Think hobbies, interests, problems. For example a replenish box for menopausal women may be specialised vitamins; a curated box may be cosmetics for the older woman. Your indepth research will help you to get the package just right. It’s worth saying that if you are thinking of setting up a curated box, it will help if it’s a niche you identify with or are passionate about. Coming up with interesting combinations every month or so is going to become a chore if you don’t have that level of engagement – and that will show. Bear in mind that you won’t necessarily have to pay for box supplies. If you’re providing a curated box, then this is a fantastic promotional opportunity for producers to get small samples out to a very targeted audience. Where possible approach suppliers from that angle. You’ll be buying in bulk in anycase, with the strong possibility of more trade in future, so aim to get a good deal. Presentation and packaging is almost as important as what is in the box. Subscribers report that the thrill and experience of receiving a gift box is a very important part of their purchase decision. So make sure that your packaging is beautiful and branded. In the early days you’ll probably opt to do your own packing. As and when the business grows it may be worth getting some quotes from fulfilment companies who can take care of that side of activities for you, leaving you to focus on customer engagement. Put together some test boxes and get feedback from your target group. Take some photographs and send out a survey. Bring together a focus group of 5 or more potential customers; their feedback at this stage will be absolutely golden. People sign-up for subscription boxes because they are looking for something new and special to them and because of word of mouth recommendations. What this tells us is that customer relationships and top class customer service is critical. But how do you get started? You need to get people talking about your box as soon as possible. Offer sample boxes to people with healthy social media followings in return for a shout out and review. Work with key influencers in your niche to spread the word further. Offer introductory offers and introducer discounts. This is one sector where the customer is always right; you will need to focus on getting sparking online reviews and testimonials from day one. Customer retention is as important as customer acquisition. Keep listening and learning from customers, develop systems that enable you to increasingly tailor boxes to different customer interests. 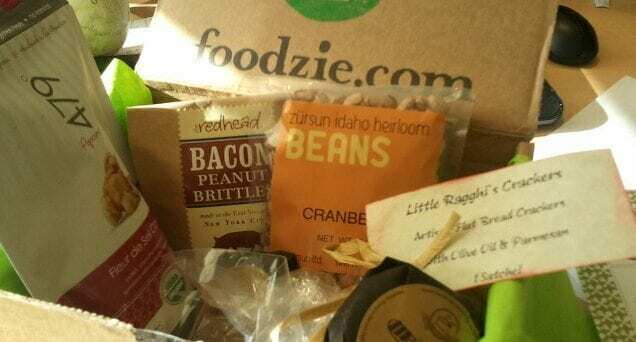 Subscription boxes are all about customer delight. Focus on that and your business will thrive.